The Transitional Housing Program is designed to assist parents in learning how to become responsible homeowners. CWAH offers a rental apartment below market rate for a maximum of 2 years to low to moderate income families who want to transition from renting an apartment to owning their own home. Tenants will establish a savings account and attend home ownership workshops to better prepare and educate themselves for responsible home ownership. 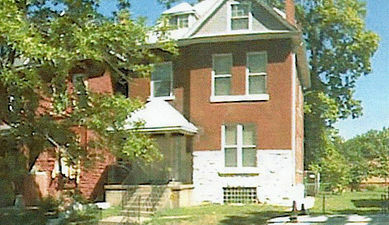 The Transitional House is owned by Community Women Against Hardship. This two family flat has a first and second floor and is located adjacent to our West Belle Place location. The first floor apartment includes: 2 bedrooms, 1 full bath, carpet and hardwood floors, central air conditioning, thermal windows, and a washer/dryer in basement. Utilities are paid by the tenant. Pets are not allowed. Maximum occupancy is 4 tenants in this 2 bedroom apartment. The rental rate is determined by CWAH but is under the market rate. The second floor apartment includes: 4 bedrooms, 2 full baths, carpet and hardwood floors, central air conditioning, thermal windows, and a washer/dryer in the unit. Utilities are paid by the tenant. Pets are not allowed. Maximum occupancy is 5 tenants in this 4 bedroom apartment. The rental rate is determined by CWAH but is under the market rate. Both units have an alarm system, fenced back yard and owner/CWAH pays water/sewer. Certain rules and qualifications are required in order to become a CWAH Transitional House Family. Must be a parent with children under 18 living with you (dependants). Must have been working at least 2 year at the same job (CWAH will verify). Must have a good credit score of at least 600 (credit check will be done). Must attend Financial & Home Ownership Workshops to improve your credit. Must have been 2 years since you have been through a foreclosure or have filed Chapter 17 or 13. The CWAH Transitional Housing Committee will review all applications, make their assessments on whether that applicant will make a good candidate for the Transitional Housing Program. If the applicant is a good candidate, they will then be interviewed by the Committee. If selected, the applicant will be notified and invited to sign a lease as a CWAH/Transitional House Tenant. Please note: When there is a vacancy in one of the units, it will be announced on the CWAH website and/or in The St. Louis American.